Sydney said goodbye to the cargo ships visiting Darling Harbour some months ago, and the Glebe Island car carriers are about to follow them south. Charles Pauka visited Port Kembla to see the preparations for the changeover. From a small regional port that was handling mainly coal and steel products just a year or two ago, Port Kembla is developing into a major port handling a diverse variety of cargoes, from bulks, liquids and general cargo through cars, trucks and machinery to, eventually, containers. In addition to its own organic growth, the port has inherited Darling Harbour’s Ro-Ro and general cargo vessels, and will take over all or most of Glebe Island’s dedicated car carrier ships from late this year – over 400 vessels a year all-up. Planning for the move began as early as 2003 when the port’s growth plan was released, setting in train the redevelopment of the three major ports in NSW. Under the plans, Sydney Harbour loses just about all its freight and Port Botany is expanded by more than 50 per cent; Newcastle undergoes a transformation and is readied to take overflow containers from Port Botany; and Port Kembla becomes the focal point for vehicle trades including machinery, trucks and cars, as well as handling regional container traffic. Soon after the decision was made to move the freighters from Sydney Harbour to Port Kembla, Dom Figliomeni was appointed chief executive officer. His brief was to organise the port that was little more than a coal port with a couple of general berths, to a diverse, modern one that can take the massive influx of cars that Sydneysiders buy up each year. Berth 103 will be receiving general cargoes and berths 105 and 106 will take the cars. Once the car carriers are switched over from Glebe Island in November this year, Port Kembla expects to receive 20-22 each month, bringing in more than 250,000 vehicles each year. “It is important that we make sure that the road and the rail network is connected. That’s why we took over the rail from the Rail Infrastructure Corporation in October last year – we see the port development and the rail development as being integral and being dependent on each other. That’s why we now have responsibility for the rail in the port as well,” Mr Figliomeni said. The rail line is expected to be used not just for cars but general freight and containers as well. Although situated on the busy Illawarra line, there are between nine and 11 train paths per day available. And while it’s a longer route, there is also the Moss Vale line available, which connects onto the main north/south line. With planning for the Inner Harbour complete and construction underway, Dom Figliomeni is connecting the dots to the Outer Harbour. “We also need to make sure that we provide connectivity with the Outer Harbour development. We’ve got loops in there already, so we just need to make sure that we don’t lose that flexibility as the port develops. The Outer Harbour development master plan will look at all the services, the corridors, the depth, and the types of trade that we’re likely to handle,” he said. The focus of the Outer Harbour development is on bulk cargoes, but down the track Mr Figliomeni sees an opportunity for containers in the future, particularly regional containers. “We’re planning to go to have different levels of berths,” he said. “Some berths probably down to about 14 metres, other berths down to about 12.2, so we’re going to try to mix it so that there is a variety of size of vessels that can be serviced there. “What we’re saying is that the port will develop in such a way that if it’s necessary it can be provided. In the inner harbour there are now three harbour cranes available, so we can handle containers already in the inner harbour. The outer harbour will then focus on bulk cargoes, and regional niche containers. With Port Botany becoming more and more busy even with the new terminal development, it may also become feasible to service southern parts of Sydney. “I think it’s necessary to look at the whole of the logistics chain,” Mr Figliomeni said. “And to look at all of the intermodal facilities as part of that, because the growth in Sydney, particularly the container trade, is going at a very fast rate. “The forecast is that Sydney in 20, 25 years will almost be at capacity, and that’s why the Port Kembla Port Corporation says, look, we need to start planning well before then, start to look at how we can service our regional customers as well. And that’s where we’re placing some of our emphasis on – looking at the niche opportunities for the region. “The planning process for the Outer Harbour is underway now. We need to go through the planning approval process and, based on discussions with our customers, it’ll probably be a three- to four-year timeframe to suit with their needs when that development would be needed. So we’re already working close together with our customers,” he said. Plans include the reclamation of around 30 hectares of land using waste material such as slag, coal wash and excavated earth to provide up to two new berths in the port. Road and rail access are adjacent to the site and it has great potential for integrated industry cargoes. These include the forest products industry (logs, woodchips, sawn timber etc. ), car imports and pre-delivery activities, cement-type products and other bulk type cargoes. The recently completed bulk liquids berth has adjacent land that could be used for a niche bulk liquids terminal. 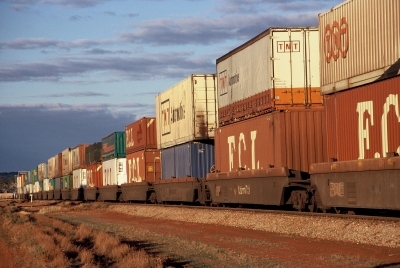 It will probably take a couple of years for the car trade to bed in down south, and hopefully the large number of ships and the hundreds of thousands of cars will not overwhelm the port, or indeed the connecting roads between it and Sydney, until the rail line is fully operational. If it can manage the transition and also develop its Outer Harbour as planned, Port Kembla will indeed be joining the big league. Excerpted from Australasian Freight Logistics, Issue 11, April/May 2008, pp.36-8.